Place a reservation for tea on any Tuesday: 11:00 a.m. – 5:00 p.m. Enjoy an afternoon of tea and socializing in charming Los Rios Historic District! Mission Members are invited to dine at The Tea House on Los Rios on any Tuesday in June. 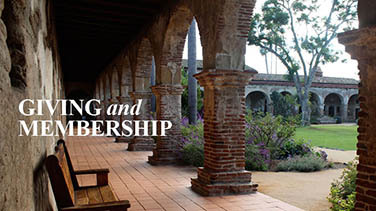 Gather with friends to enjoy this beautiful setting in historic San Juan Capistrano while also receiving exclusive member benefits. Celebrate the occasion by dressing in your finery and wearing your tea party hat! Reservations for tea are required. Coordinate a tea time with friends and place your reservation by calling (949) 443-3914. Mention Mission Member Tuesdays when placing your reservation. Active Mission Members will receive special benefits listed below. Join or renew your membership today! Receive a special gift from the Mission Store if a friend in your tea party becomes a member of the Mission Preservation Society! Download your own flier for Mission Member Tuesdays at The Tea House on Los Rios to share with a friend! 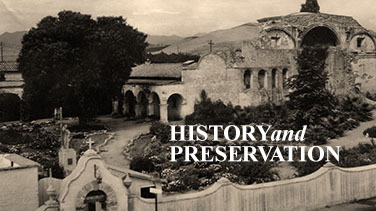 Join us for Mission Member Tuesday on June 13 to hear from Mission San Juan Capistrano Executive Director, Mechelle Lawrence Adams, on the Power of Place and how Old Places Matter to a community. Enjoy a short welcome and presentation during tea time. Be sure to mention Mission Member Tuesdays when placing your reservation for preferred seating. 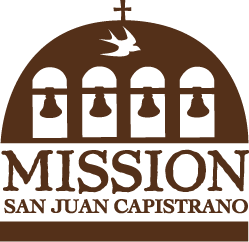 This is a special event made possible by Mission San Juan Capistrano and The Tea House on Los Rios Street in support of the unique heritage brand of San Juan Capistrano. For more unique and historic destinations to shop, dine and discover in San Juan Capistrano, click here for a free map of the historic downtown. There are over 12,000 members in the Mission Preservation Society! Join the legions of supporters who support the preservation of Orange County’s only mission. For more information and to join the Mission Preservation Society, Click Here.